Whilst agricultural landscapes are products of the local ecosystem and community in which they are situated, they are becoming increasingly affected by the same global issues, and are converging under the dynamics of globalisation. 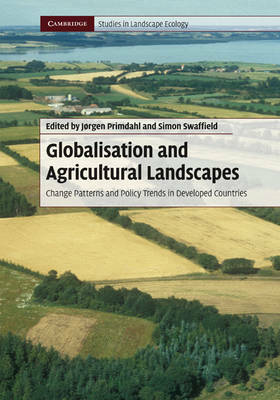 Combining landscape ecological research and an examination of relevant public policy, this book investigates the dynamic relationship between agricultural landscapes and the global change processes, such as urbanisation, by which they are being transformed. Landscape change is analysed in the context of biophysical patterns, market dynamics, and specific public policy frameworks, through a series of case studies from different OECD countries spanning Europe, Asia Pacific and North America. Particular emphasis is placed upon the way that landscapes are changing under differing policies of agricultural subsidy including the EU Common Agricultural Policy. This is an ideal resource for graduate students and researchers in landscape ecology and agriculture as well as policy analysts working in the agricultural sector.